And so the bonus chase day was upon us and we really did not need to go far today, in fact total mileage was around 35 miles today. We headed east at 3pm from the Hotel to a nice line of Bubbling Cumulus to our North West pretty much near Fountain Hills, so off we went to our new favourite spotting location, once there the storm we had been watching was sitting pretty much about 5 miles to our North West, we also met up with brilliant Arizona photographer Brian Snider who was timelapsing this event a stones thrwo down the path from us. Things were also starting to take shape to our South and we watched a boundary forming with a very long line of explosive updraughts in an area from Apache Junction to near Casa Grande. And we really had an amazing view to watch this from about 10 miles further back in Fountains Hills itself, a great viewpoint we stumbled across in 2011. Unfortunately all the Lightning moved away towards Florence as darkness fell so no Cg shots in the valley below for us but it did create a stunning sunset to our west over the mountains of NE Phoenix, a fitting end to a great trip monsoon chasing in 2013. Todays risk looked pretty simple on the Models with 2" of Precipitable Water way off to the South West of Phoenix between Aja and Yuma, we would ultimately end up chasing just 25 miles from California and then having to hot foot it back to Phoenix at dusk. After grabbing some lunch we headed west from Casa Grande along Interstate 8 towards Yuma and San Diego, a system of storms was already heading South Westwards from Tucson towards Aja and we ran along the top of these to the North along a fast route westwards. We stopped briefly as parts of this system went Severe to our West and got some structure shots. We plugged on and somehow ended up just North West of the line of storms near Yuma, the main thing to note about chasing this far south west is just the amount of dust and sand that gets flung about by these storms, it really is not nice and you can barely see any lightning with all the dust contained around the system. We witnessed numerous Haboobs and Camera work was tricky to almost impossible. At around sunset the colours looked almost unworldly with yellows, oranges and purples. Being so far South West worried me as Storms around this time started to erupt around the Casa Grande to Phoenix areas and were becoming stronger, we gassed the car up and plotted an intercept around Gila Bend which we could make in about an hour, what we did not expect were fresh updraughts going up along the way and tempting us, some of these were spitting out incredible Lightning, one such bolt hit the same spot 9 times and almost blinded us along the Interstate. Onwards we went until the Lightning became too much to resist and we pulled over at the town of Dateline to shoot some Cgs. When this dried up we pushed east once more and stopped just West of Gila Bend to set up for more lightning and we could also now see the Phoenix Storm 24 miles to our North from this point. 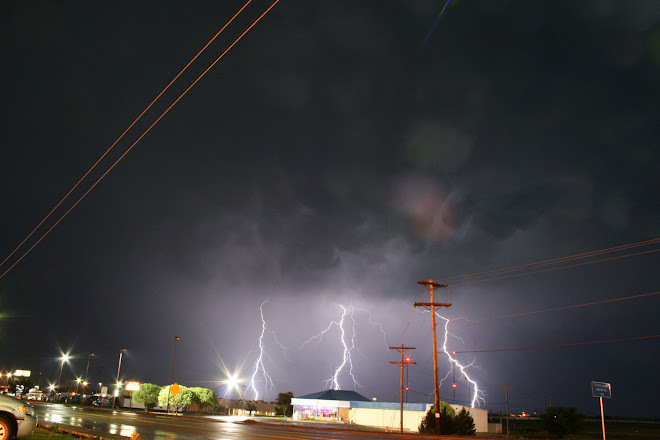 After this things seemed to die down a lot and we met up with a couple of local chasers at the Shell Gas Station in Gila Bend and talked about the days chasing whilst shooting the last fading anvil crawlers. Day 8 of the Arizona Trip and the models all painted a picture of the Northern half of the state being the better bet and the SPC agreed with a 70% Thunderstorm Risk outlook. We left Phoenix at 11am and headed for a 1pm lunch in Flagstaff. Along the way and just south of Flaggy we stopped and pulled over when a nice storm hit our location near Maunds, we documented dime sized hail and a few close flashes of lightning before we carried on and ate lunch. After this we headed North East towards the Painted Desert where a line of Cumulus was developing into some storms the strongest of which was near Tuba City. A small Monsoon storm erupted to our South and we watched a few Cg bolts in the distance but then as with other days all storms dried up by abut 530pm, a quite dissappointing day to be honest for all the miles and we hoped the last 3 days of the trip would give us more sustained storms and not the diurnal storms we have had pretty much all week. After a weekend that promised much but delivered very little from the Hype of a Tropical Storm near the Baja Peninsular and only weak non picturesque storms Mondays offerings were a lot better. After a quick lunch of Buffalo Burger in the Crystal Palace Saloon I looked at the radar and knew we had to hot foot it North to Tucson and then Northwards towards Phoenix, add in a Border Patrol crossing and you get the point of a very slow progress. When we got to Tucson a very strong storm was still 50 miles to our North wreaking havoc along our planned route but this little Monsoon storm was very pleasing on the eye near Mount Lemmon. On we pushed and after getting held up for an hour south of Maricopa we went the slow way through Chandler and then northwards towards the east side of Phoenix, on route in front of us a fresh updraught went up which went crazy spitting out violent Cg Lightning every 20 seconds, the unfortunate part of this was not being able to find a decent vantage point to capture this amazing lightning, we finally got a stopping point right at the very eastern end of Mcdowell Road and by the time we got set up the storms had congealed into a North Westwards racing MCS. Que grungy structure again but at least some dirty dusty lightning was captured. A nice end to a very frustrating day and we were only 2 miles from the Hotel which was nice for once. As the rain core approached us we retreated about 2 miles further east to get some of the structure of the now dying storm. After this point we went south towards Mammoth and picked up another few storms but they were so grungy they were not even worth taking pictures of, we then did a complete loop and followed Interstate 10 back towards Pheonix for an early night as all storm dissolved by about 6pm. Day 3 Started with another risk of Non Severe type Thunderstorms to today because the Models were hinting at the Mogollan Rim firing up we went on an early journey to Sedona to see the stunning scenery up there, after a lunch we started the journey back always knowing that storms should start to form near the Rim around the Verde Valley area. Around 5pm those all too familiar small bases started to form and a few storms went up around the Sunset Point area, 1 of these was very nice viewed from the West with a little partial rainbow into the mix, probably one of the smallest monsoon storms i have ever seen. All the while this was going on I had an eye on developments between Safford and Payson which was forming a line and just at the right time as well. I decided to take the quick route down towards these storms and calculated we could intercept them just before sunset from the south viewing to the north. 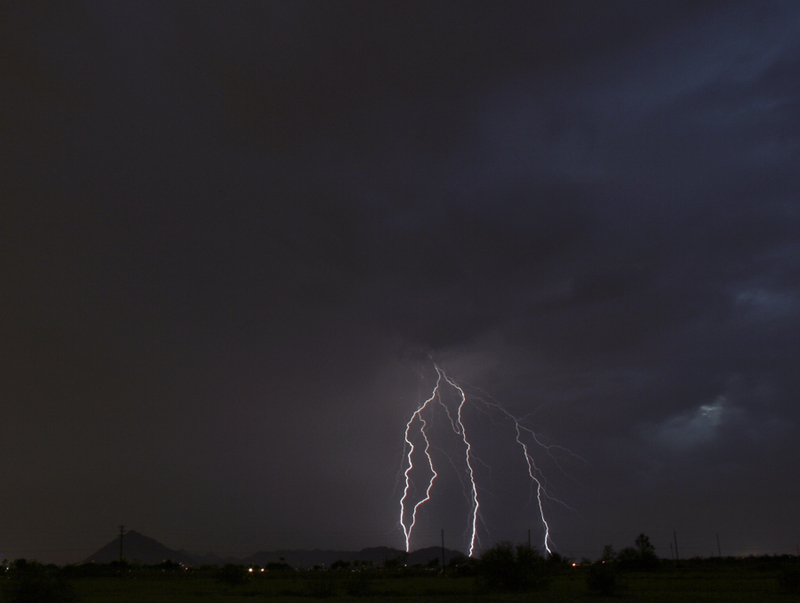 After taking Interstate 17 south and then the 101 Link road we finally arrived in Fountain Hills at 645pm and got into position to let these storms run SE -NW Right in front of us, luckily they sustained long enough for us to shoot some very nice Lightning to our North. 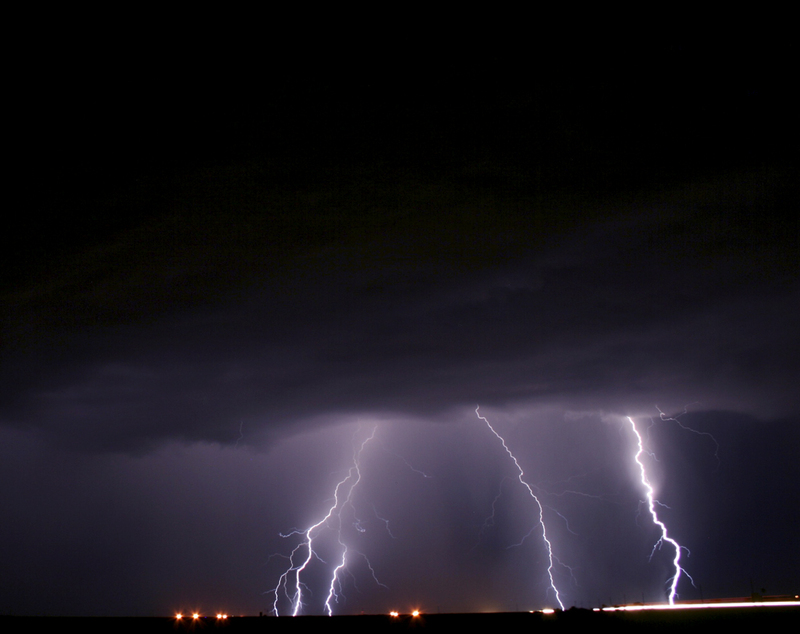 Finally our 2013 Night-Time lightning had paid off on this trip. We also met a few other photographers in this spot and it was great to make even more friends from the storm chasing world in Arizona. Day 2 of the trip saw the chance of much better organised Storms, the storm motions would be from the traditional SE To NW Today with much better moisture to work with as well. The decision was taken to head towards the Show Low area and target storms moving up from Safford and Globe. We got to Globe at 12pm and ate Lunch and then headed North towards Show Low. Our first Storms were encountered about 20 miles South of Show Low and we picked a lovely spot in a Valley and watched numerous Lightning Bolts to our North, another Storm moved in front of us at a range of about 1 Mile away and spat out an amazing Cg Bolt than landed 1/4 mile in front of us, unfortunately none of us captured this on Camera. The structure at this time was starting to get very nice with a green tinge denoting some small hail was falling. After this the Storms moved into an unaccessable area so we were forced back South towards Globe and then North East towards Payson. We did run into another Storm moving across the Mogollan Rim towards sunset but with diurnal heating waning it was down to a weak dying storm and amazing sunset to finish the day. So day 1 of the Arizona Monsoon Trip had dawned and prospects were not great for today, only marginal non severe storms would fire mainly around the Tucson area so it was a trip down south on Interstate 10 and a chance to check out the much talked about "A" Mountain. The journey down was pretty quick and the Mountain road was easy to find, once at the top there was a 360 degree view, we watched some Lightning from a Storm to our South West and audible thunder was heard (1st of the Trip) and our attention was drawn to a pair of Storms near Marana to our North. 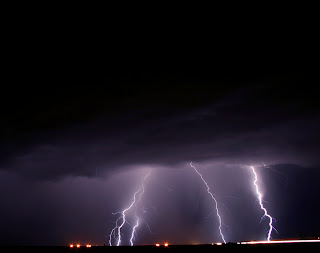 These were struggling and only a few bolts of Lightning were observed from our location, the view was so good and the storms so weak there was no need to leave our spot so we took a few snaps. The Picture below is from "A" Mountain looking North East at the now weakening Storms. 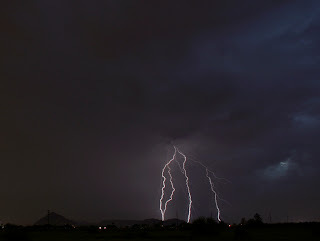 So it was an early night back to our base in Phoenix, but at least it was a Storm day and made it 23 on the trot if you take in 11 Storms days in the 2011 and 2012 seasons, not a bad run and one that we hoped would continue. So the Uk Storm Season seemed to be from July 21st until August 3rd this year, some decent storms once again but it was what happened on the morning of Friday 2nd August 2013 that would be remembered for some time down here in SE Essex. After an overnight and early morning period of Elevated Storms imported in from the near Continent what trailed these storms was almost beyond belief and only something usually found in Continental Climates, a very rare breed of cloud indeed "Undulatus Asperatus"
The last chase day of the 2013 Tornado Season for us and exactly 1 year to the day from that bad experience when leaving the Wyoming Barrel Tornado for Tornado warned cells in Colorado, what made today even more spooky was the setup was near identical as well, so the first thing was to make sure I learned from last year, pick a target and stick with it. Started the day in Scottsbluff and went for an early lunch, as we were eating a Tornado Watch was issued for Central and Eastern Parts of Wyoming, this already at 11am MDT. 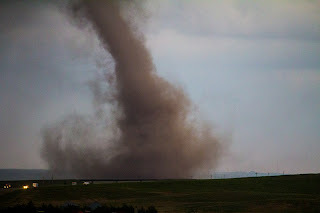 My target for today was Wheatland (Wyoming) as it looked like Storms would erupt over the top of the Rockies and move eastwards into much more favourable conditions for Tornadoes and Supercells over the flatter parts of the Laramie Divide and more importantly the tornado producing County of Goshen County. This area like Baca County in extreme SE Colorado seem to be able to do magical things with Supercells, so today we shall see. As we went Through Torrington towards our starting position a huge tower went up in the distance, I remarked at the time this would be our tornado producer today and that was not a bad guess. We reached Interstate 25 in good time and arrived at one of my favourite stopping positions about 15 miles North of Wheatland, looking south west an incredible sight over the top of the Rockies, an already Classic Supercell getting ready to move east into the much moister air, temps and dewpoints at this point east of Wheatland and Chugwater were 76/57 and with the Elevation of 5,000ft this was ample to get storms spinning given the other parameters on offer. We blasted south to just south of Wheatland and watched as the Supercell approached, at this time we were 5 miles South west of Wheatland, the Storm really started to crank up at this point and the rotation about 1/2 mile in front of us above the road was going insane, you just knew we were minutes away from a Tornado at this point. It's not often you see such a classic mesocyclone spinning above your heads and certainly not within spitting distance of the Wyoming Rockies. So could this be my first ever Wyoming Tornado about to happen and also if it did it would also be my Highest ever Tornado at around 5,400ft asl. Well the answer was yes!! About 5 minutes after the above picture was taken a Tornado developed from a hidden Funnel cloud (Viewable from the West) which would have probably made it a Landspout Tornado, the condensation was clear to see spinning in the field about 1/4 mile down the road and just to our front left behind some water irrigation sprinklers. This Tornado was only brief lasting a few minutes, we then went back east and caught up with the rotation just to the SE Of Wheatland, sporadic Golfball hail also started to fall at our location, at this point we met up with Matt Phelps from ETT (Reed Timmers Tour Group) My attention was already being drawn to a new Storm about 20 miles further South near Chugwater, so much like a dryline day we abandoned our tornado producing storm and dropped down the line. Our new Supercell was really starting to look the part as it headed eastbound across Goshen County and onwards towards the Wyoming and Nebraska Border. We continued to follow this Storm and witnessed another very brief Tornado (On Video Capture) near Veteran (Wy). The Storm was now fully HP And with other storm interactions ramping up it was going to be very hard to dodge the hail and the cores around these merging Supercells. As the continued Tornado warned storm approached Springer it had an amazing Barrell shaped Mesocyclone spinning at rapid speeds, how this never put down a Tornado we will never know but if it had it would have been a very large Wedge at this point. Things were now starting to get very messy, so I made the decision to abandon this storm and head south towards Pine Bluffs and the last storm in the line heading east from Cheyenne, when we got to near Pine Bluffs the strm looked very decent, we still had a few hours of light left in the day and there was no reason why this could not produce a late evening Tornado, our expectations were still very high. We even had our Tour 5 Picture taken in front of it she looked so good. As we got to Kimball we took a South road (Yes That One Again!!) and then stopped about 5 miles in front of the Storm for some Lightning Pictures, the fading evening light was just about do-able at this point and the storm was pinging out a Cg every 5 seconds which made it pretty easy. The below shot is a 2 second exposure at F22 With an ISO Of 200. The storm was now moving more to the East South East so we re-positioned further east towards Sidney and then headed back north towards the Interstate, what happened next took us all by surprise, whilst we were setting up for more Lightning in the core to our North and watching the rotation also to our North, about 1 mile to our East an incredible Landspout Tornado quickly formed and churned away for about 5 minutes, the Funnel Cloud was clearly visible and as we were just to the West of this we had a perfect viewing position. It really was an amazing end to an amazing Season and literally the last piece of chasing we had left in us before the trek back to Denver the next day. So not only did we score our first ever Wyoming Tornado today, we also got our highest and our first Nebraska Tornado for 5 years, you always knew Nebraska was going to have the last word for the 2013 Season and that State treated us very well.